These two both played on Thanksgiving, and both of them lost convincingly with Dallas falling to Philadelphia and Chicago falling to Detroit. I was surprised by the Cowboys losing in the way they did but not with how the Bears lost and this is why I like the Cowboys winning here. Chicago has continued to look terrible and two unconvincing wins over Tampa Bay and Minnesota a couple of weeks ago continue to be, well, unconvincing. Dallas will run the ball, run the ball and run the ball en route to victory. Is there really any reason to watch this game? Unless you are a die-hard fan of course but even then, these two have lost a combined 13 games in a row. Considering both teams do look dreadful, this is a tough game to pick but I have to think that with such an embarrassing loss to an atrocious team, I can see the Giants coming out with something to prove this week in Nashville. Another fun interconference showdown featuring one of the teams from New York, where it feels like 1995 or 1996 all over again. While the Jets had a good chance to pull off an upset and completely blew it to the Dolphins, the Vikings looked pretty good in blowing out the Panthers at home. I think as they return home to the great outdoors in Minneapolis, they will get the win over New York. Holy cow, the Rams really crushed the Raiders at home on Sunday. Of course, the Raiders only put together one of the worst performances of the season but hey, the Rams took advantage of it. They will visit Landover to take on a team that has lost four in a row, the latest being a blowout in Indianapolis. And that was even with a strong performance from Colt McCoy nonetheless. I'm liking what the Rams have been doing of late and I think they will get it done this week. Somehow the Jaguars rallied from being down 21 to defeat the Giants on Sunday but let's not act like they played superb football. Rather, the Giants completely fell apart and the Jags took advantage of their mistakes. I do think they can keep it interesting against the Texans but I was very much impressed by Ryan Fitzpatrick and their team as a whole last week in their impressive win against the Titans. The Panthers still were theoretically in the hilarious NFC South race this past Sunday and they still laid an egg in Minneapolis and coupling that with both Atlanta and New Orleans winning, they are done now. Speaking of the Saints, they looked very impressive getting a rare road win against Pittsburgh last week and now they get to take on a floundering divisional opponent. Fun times indeed. Miami got lucky that they were playing an awful Jets squad on Monday night because they would not have beaten too many teams with how mediocre they played. Meanwhile the Ravens had a win on Sunday but their pitiful pass defense got torched by the Chargers late while they gave up three touchdowns in the fourth quarter. I do like Baltimore here as I think they will exploit a subpar Dolphin run defense behind Justin Forsett to control the clock and get the win. What nobody is talking about with the bizarre Marvin Lewis illegal challenge that led to a correct call late in Tampa regarding too many men on the field is that the Bucs were actually in formation with 12 guys! Usually it's one guy being too late running off the field but I've never seen a team line up and then run a play as if nothing was wrong like that. That kind of comedy is what has hurt Tampa Bay all year and allowed them to blow a winnable game against the Bengals. They won't get the chance to keep it close in Motown. While the Steelers have proven themselves to be perhaps the most inconsistent team in the league at times (a home loss to the Saints when they were down as many as 19 points? ), the Bengals squeaked out a tight one in Tampa when Marvin Lewis's illegal challenge helped to stymie the last-second Buccaneer drive. Knowing the Steelers they may just pull this one out but I believe that it will be Cincinnati winning to keep their winning streak alive. Is it time for Johnny Manziel in Cleveland? Considering he gave the team a spark when he came in relief following another mediocre outing by Brian Hoyer, I don't see why not. Should he be the guy on Sunday, he may be able to make some plays against a mediocre Indy defense but I am not sold that he can make the plays in the air to keep up with a guy like Andrew Luck. So Brian Hoyer will in fact remain the starter and while I can see the reasoning behind it, you can't deny the fact that Hoyer really has not played that well and particularly of late. My pick stands regardless. Denver looked very good in the cold in Kansas City on Sunday night, even when Peyton Manning was not as lights out as usual. Rather it was the surprising C.J. Anderson who helped to carry the offense while the Bronco defense shut down Jamaal Charles and the KC offense. They are an excellent team when they play at home so there will be a lot of pressure for the Buffalo defensive corps to keep the Bills in the game, which I do not see happening. With both teams losing second in a row coming into this game, there could be some reason to panic. The Cardinals still are in good shape to get to the playoffs but behind the struggles of Drew Stanton, they have not looked that good at all since winning in Detroit. There is plenty of reason to panic for the Chiefs as they did somehow lose to Oakland plus they were never able to dig out of an early hole at home against the Broncos, thanks to a feckless offense. Of either team, I think Arizona is more likely to turn it around. You really cannot describe Oakland's performance in St. Louis anything but a disgrace because it was that bad of a destruction by the Rams. You could make a case that it was the worst performance of any team this season. San Francisco is coming off a poor performance of their own on Thanksgiving but even then, I have no reason not to expect them to be triumphant over their Bay Area rivals. Another showdown of teams that played on Thanksgiving, where the Seahawks won a second straight 19-3 contest while the Eagles dominated the Cowboys, I think the homefield factor will swing this game to the Iggles. Philadelphia has played great all season long at home (6-0 for the year) and Seattle still is not as sharp when they are away from home. After the stirring late comeback win in Baltimore on Sunday, the Chargers have put themselves right back into the thick of the playoff race with their third win in a row. For the Pats, they lost for seemingly the first time since Desert Storm in a great ball game at Lambeau when their defense struggled at times to get off the field. New England has not lost back-to-back games since September of 2012 so picking against them is risky, but I think that Philip Rivers and the Bolts have refound their mojo and will get the home upset. There may not be a hotter team in the NFC than the Packers right now, and particularly so when they play at home where they are 6-0. Aaron Rodgers has been brilliant and his supporting case has stepped up for Mike McCarthy's squad. 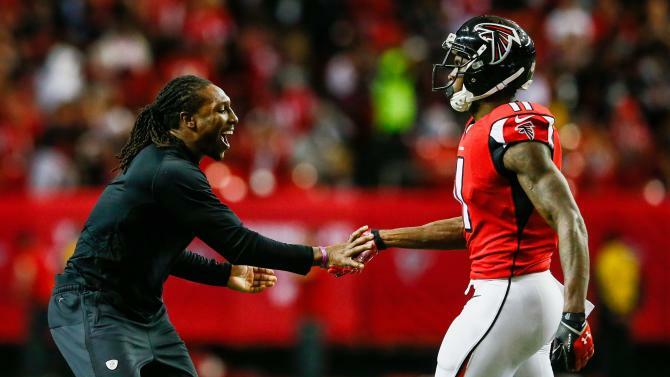 This week they will host the Falcons who have largely struggled on the road this season, save for two unimpressive wins over two decidely unimpressive squads in Tampa Bay and Carolina. Green Bay is my Lock of the Week. Do you think Bengals win AFC North this season? I believe the Vikings beat the Panthers at home, not on the road eh?